Trauma by definition is life altering and disruptive. It is normal for trauma survivors to struggle with their emotions and ability to navigate daily stressors. Our East Bay Therapists can help you heal. Trauma comes in many forms, but regardless of the details of the intensely frightening experience an individual survives, the neurological and psychological impact is often similar. These traumatic events can leave a person with painful overwhelming emotions, depression, insomnia, nightmares, frightening intrusive memories (or flashbacks), or a constant sense of danger. Feeling numb, dissociated or disconnected can also be an aftereffect of an intensely disturbing experience. Trauma by definition is life altering and disruptive. It is normal for trauma survivors to struggle with their emotions and ability to navigate daily stressors. 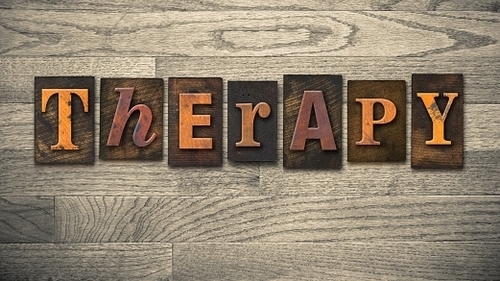 Entering psychotherapy immediately after a traumatic event is ideal, and may prevent the onset of PTSD, but often people don't seek help until later...sometimes many years later. Therapy can still help. Our highly skilled East Bay therapists can help you to heal from a variety of traumatic experiencesWhen someone is caught in a situation that is terrifying and devastating, or believes that his/her life is in danger, the neurological system becomes flooded with stimuli. This is akin to throwing a fuse in the electrical system of a home. When the electrical circuits are over overloaded by too much energy, the system protects itself by shutting down. Similarly, the human neurological physiology is designed to also shut down when overwhelmed by trauma. This allows people to be able to function in the immediacy of horrific and terrifying circumstances. Research has demonstrated that there are highly effective ways to treat trauma, particularly with Somatic-based modalities such as Accelerated Experiential Dynamic Psychotherapy (AEDP), Somatic Experiencing, EMDR and psychodynamic therapy. Our psychologists and therapists at The North Berkeley Couples Therapy Center for Attachment Healing have extensive training and experience in these modalities of treatment. Please call us at (510) 982-6401 for a free phone consultation. Your call is confidential and your trust is appreciated. We can help you get through this. When someone is caught in a situation that is terrifying and devastating, or believes that his/her life is in danger, the neurological system becomes flooded with stimuli. This is akin to throwing a fuse in the electrical system of a home. When the electrical circuits are over overloaded by too much energy, the system protects itself by shutting down. Similarly, the human neurological physiology is designed to also shut down when overwhelmed by trauma. This allows people to be able to function in the immediacy of horrific and terrifying circumstances such as earthquakes, floods, fires, robberies, war etc. Trauma is defined as pattern of sequelae (or symptoms) that manifests in an anxiety disorder following an extreme emotional or physical trauma that involved the real threat or perceived of injury or death, or that was intensely terrifying. Typical symptoms include flashbacks, hyper-vigilance, nightmares, depression, avoidance of triggers and anxiety (APA, 1996; Koss, Bailey, Yuan, Herrera, & Lichter, 2003). Some commonalities that many trauma survivors share include isolation, shame, fear of the perpetrator or place the trauma occurred, insomnia and cognitive distortions, such as self-blame, denial, minimization and rationalization. Regarding the lasting effects of sequelae of violence and other terrifying situations, the review of the literature found that the most frequently noted clinically significant symptoms reported included depression, fear, anxiety, hyper-vigilance, suicidal ideation, intrusive memories, dissociation and full blown PTSD symptoms. Given the severity of the impact, it is imperative that survivors receive proper treatment in the form of psychotherapy in order to regain balance and a sense of safety in one's life. Emotional and psychological trauma can be different for each person. Any situation that leaves someone feeling overcome with fear can be experienced as traumatic to differing degrees. Often times, there is a misconception that "true trauma" is the trauma that stems from highly intense and frightening situations, but in reality, there are various forms of trauma. Catastrophic Events such as natural disasters, terror attacks, plane crashes etc. People who continue to experience problematic symptoms that interfere with their lives and relationships should certainly seek professional therapeutic help. Our trauma-informed East Bay Therapists can help. Suicidal Thoughts, gestures or attempts (If you are currently feeling suicidal please call 911 or a suicide prevention hotline). Recovering from a traumatic event takes time, ample support and often professional treatment from a psychologist or therapist specifically trained to work with healing trauma. Survivors of trauma heal at their own pace, and need to grieve as well as reestablish a sense of safety and empowerment. With the passing of time and the help of a therapist and loved ones, the shock of the event may gradually dissipate. Perhaps the intruding memories, nightmares and anxiety will fade as well. However, it is common that symptoms linger and therapy is needed. It is also extremely important that the trauma survivor receive support from a community of friends and family in addition to psychotherapy. In treating trauma and assisting an individual's healing, it is essential to cultivate a safe environment where the survivor can openly share feelings, past memories and tell their story. Often people experience deep shame or embarrassment and find it challenging to share the details of the trauma; our therapists are empathic and openminded. We do not judge, but rather establish a collaborative, warm and trusting alliance with you. Telling your story is an important step in healing. We also respect the pace you need to do so in order to feel safe. We are trained to help you know when to slow down and when to go a little deeper. Your emotional safety is our first priority. Research has demonstrated that there are highly effective ways to treat trauma, particularly with Somatic-based modalities such as Accelerated Experiential Dynamic Psychotherapy (AEDP), Somatic Experiencing, EMDR and psychodynamic therapy. Our top-rated East Bay psychologists and therapists have extensive training and experience in these modalities of treatment. Please contact us for a free phone consultation. Your call is confidential and your trust is appreciated. We can help you get through this.